At some point this week the reality of a new semester and a busy season of work started to settle in, and I was hit with a mild(ish?) case of overwhelm. Fortunately, I’ve been doing this juggling act long enough—and riding its inevitable ebbs and flows long enough—to know that it’ll pass. By this time next week, if I stay on top of assignments and treat myself gently, I’ll be back in the game. In the meantime, it’s helpful to have at least one thing—feeding myself—be simple and streamlined. 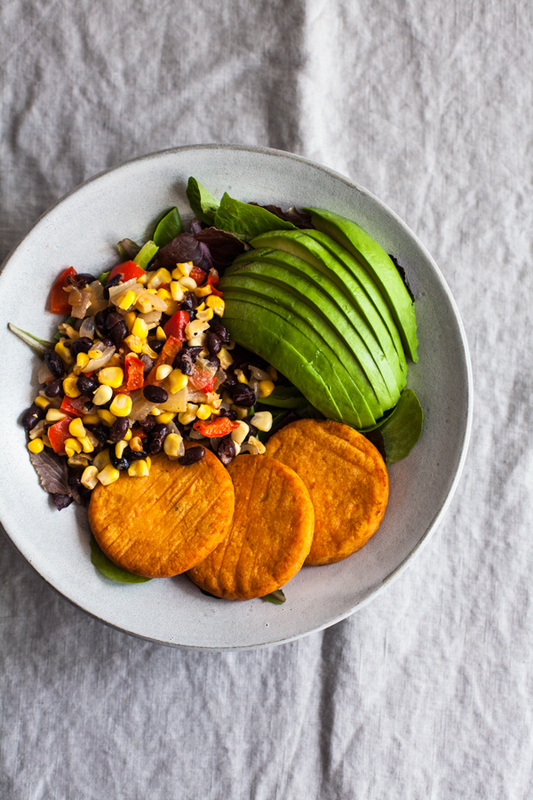 These Southwestern sweet potato hash brown & black bean breakfast bowls are the best of both worlds: they’ve got some lovely, low-stress homemade touches, but the rest of the recipe is essentially ready to eat, thanks to Dr. Praeger’s vegan sweet potato hashbrowns. I love these crispy, heat-and-eat cakes. They’re everything great about hash browns—especially that crispy exterior and warm, tender interior—without being greasy or heavy, the way so many hash browns can be. They’re vegan and gluten free. And they’re made with sweet potato, so they’ve got a subtle sweetness and richness that traditional hash browns don’t have. 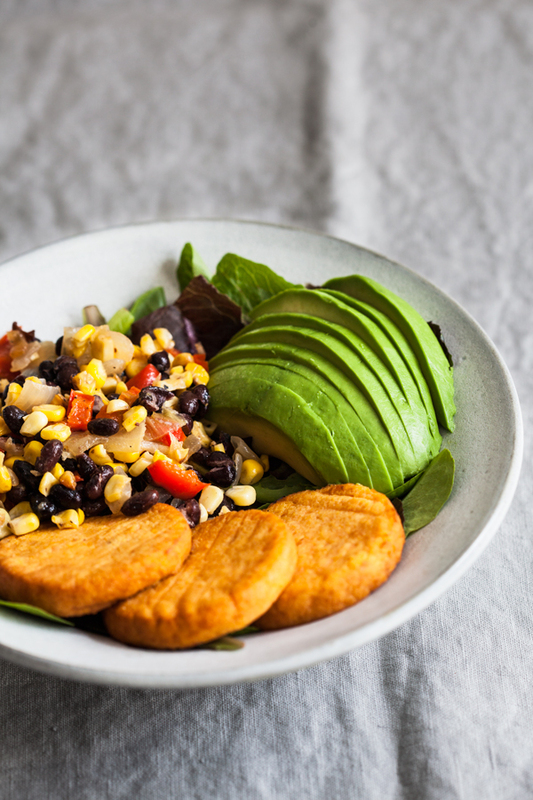 I’ve gotten to know these hash browns as part of an ongoing partnership with Dr. Praeger’s Purely Sensible Foods, a line of burgers, hash browns, and veggie puffs that makes eating wholesome, plant-based food an accessible everyday reality even for folks who have little time to cook. I try to make as much as I can from scratch, even when I’m busy and the food is necessarily very simple. But I’m human, and some weeks get away from me. Or I’ve got a little time, but for whatever reason I need to devote it to something that isn’t cooking, be it reading or catching up with friends. 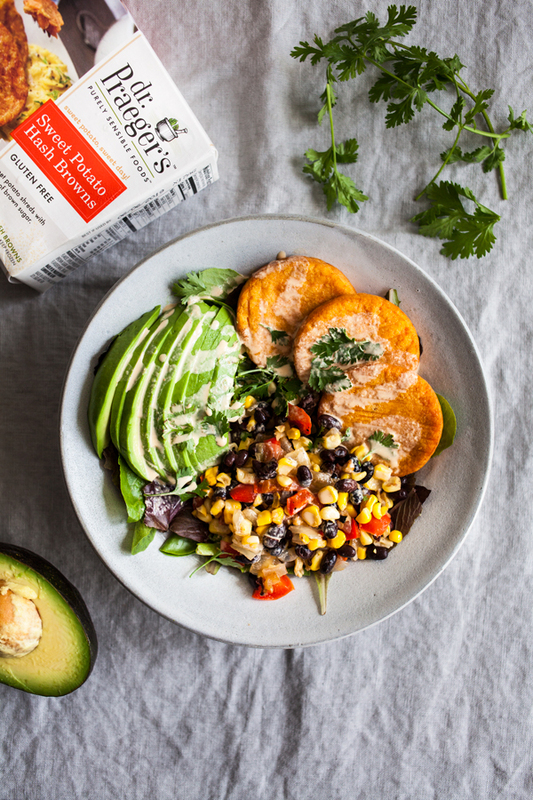 I value brands and products that make wholesome food choices possible in these moments, and the Dr. Praeger’s is definitely one of them. I’ve been getting the veggie burgers on and off for years, and now I’m so happy to know about the hash browns, which come in three other flavors (including regular potato and root veggie, featuring rutabaga), too. Since the point of this bowl is to keep things simple, I didn’t go crazy with my other components. But it’s easy enough to roast a tray of veggies, and that’s where the roasted vegetable and black bean “salsa” comes in. Traditional salsa it is not, and it’s probably inaccurate to label it as such, but I use it so often as a dip that I’ve come to think of it that way. 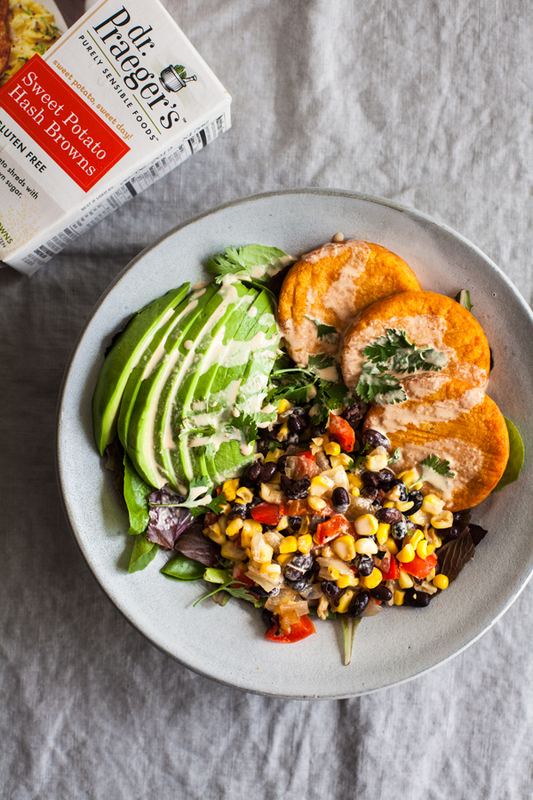 I love the combination of sweet roasted veggies and tart lime juice, not to mention the protein boost from the beans. Otherwise, some simple avocado and fresh greens round out this very nutritious morning (or anytime) meal. 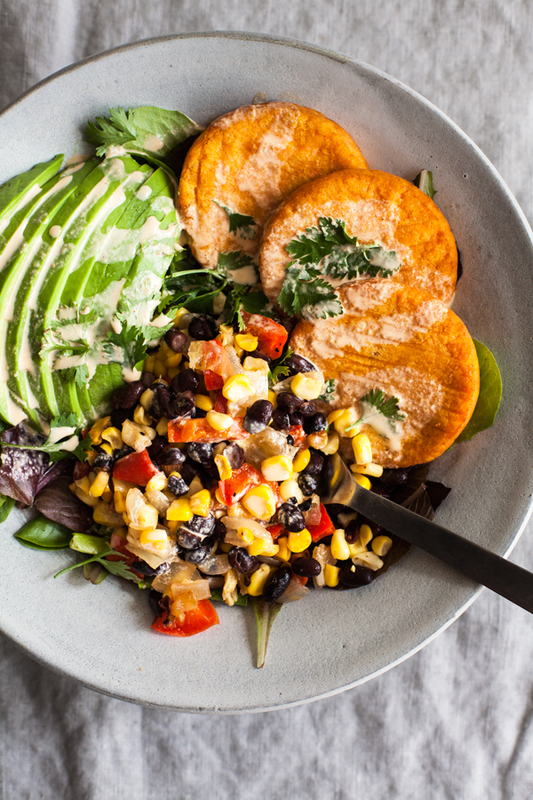 You can add a nice drizzle of my cashew queso if you like—and I did!—but it’s totally optional. Preheat the oven to 400F. Place the pepper, onion, and corn in a large mixing bowl. Add the oil and toss well. Transfer the mixture to a lined baking sheet and sprinkle generously with salt and pepper. roast for about 25 minutes, or until the vegetables are tender and some of the corn is gently browning. Remove the vegetables from the oven. Place the hash browns on 1 or two baking sheets. Transfer them to the oven and bake for 5-6 minutes, or until crispy. Remove the hash browns from the oven and allow them to cool slightly. Meanwhile, toss the roasted vegetables with the lime juice, black beans, and cilantro. Taste the mixture and add an extra drizzle of oil and salt and pepper to taste. Set the mixture aside. 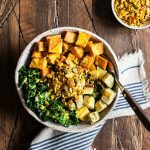 To assemble the bowls, pile your greens into 4 serving bowls. Top each with 3 hash browns, a generous scoop of the roasted vegetable black bean mixture, and half a sliced avocado. Drizzle with cashew queso and sprinkle with cilantro, if desired. Serve. 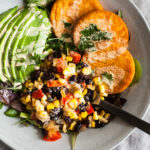 The black bean vegetable mixture can be prepared up to 2 full days ahead of time and stored in an airtight container in the fridge. This is my kind of breakfast. With major crossover potential into dinner and lunch, too, of course. The hash browns are a central component, but if you don’t have them, keep in mind that roasted sweet potato rounds would stand in nicely, and the flavors of the dish will definitely be preserved. I’m determined to keep up with fun, savory weekend breakfasts in spite of it being a busy time of year. It’s nice to have a vegan hash brown option that does some of the work for me. 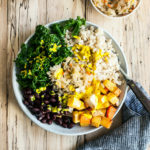 For more inspiration, you can check out the Dr. Praeger’s bowl boss page, which features a new bowl recipe for each day of September and a chance to win a $1,500 prize pack in a special giveaway! 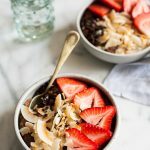 I hope you’ll get some awesome bowl inspo from the page, along with the Dr. Praeger’s Instagram page, which is featuring all of the daily bowls—and I’m wishing you a wonderful rest of this week. OMG! I just love this salad!! I will definitely gonna make this!!! Thanks for sharing. Yum! 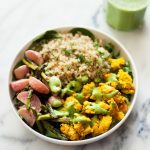 Such a nutrient-dense bowl which I can’t wait to prepare and taste! Can I use lemon instead of lime juice?